Recycling has been a hot topic here in Augusta, largely because of contamination. But what IS contamination? Wishful recycling, or “wish-cycling,” happens when you are unsure if an item can be recycled, but you put it in your recycling bin with the hopes that the facility will be able to sort it out and recycle the material. Despite good intentions, those items do more harm than you might think. Join Vanessa Berry from ecomaine to learn about the recycling process and how “wish-cycling” has created global problems for the recycling industry and what Augusta residents can do to help. Join us for our second annual Open Mic Poetry Night, celebrating National Poetry Month! Featured poets will include Darcy Shargo, the Pondtown Poets, and members of the Maine Poets Society, followed by open mic time for anyone who would like to share original or favorite poems. This event may contain adult content; parental guidance is advised. Join Maine author Thomas J.Torrington as he talks about his journey to becoming an author and why he ultimately chose to independently self-publish rather than pursue a more traditional route. 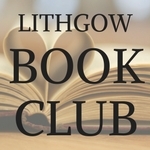 Thomas will discuss the current state of the publishing industry and dispel some of the myths and negative connotations associated with independent authors and self-publishing. View our catalog to see our collection of Torrington’s work. THE STITCHERY: A FIBER ARTS SOCIAL CLUB Join us every first and third Tuesday of the month at noon for fiber and friendship. No sign up required. Bring your project (and your lunch, if you’d like) and hobnob with knitters, crocheters, embroiderers, felters, weavers, quilters, tatters, spinners, and other fiber fans. Come for advice, inspiration, or just to chat with like-minded crafters. Having trouble with your digital life? Bring your tech questions, gadgets & devices to sit down one-to-one with our Systems Librarian, a Microsoft Certified Systems Engineer. No sign up required; first come, first served. Every Tuesday and Wednesday from 10-11am. Lithgow Library now offers a videophone (VP) for Augusta’s Deaf Community. We have partnered with Disability Rights Maine to provide access for people who are deaf and use American Sign Language (ASL). A video call can be made directly using ASL or with the help of an ASL interpreter who appears on the screen. Lithgow Library now offers a video phone (VP) for Augusta’s Deaf Community. We have partnered with Disability Rights of Maine to provide access for people who are deaf and use American Sign Language (ASL). 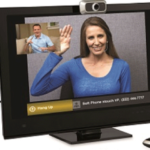 A video call can be made directly using ASL or with the help of an ASL interpreter who appears on the screen.